LaVoieHealthScience has added SIRION Biotech GmbH, a top European gene therapy engineer, to its client roster. SIRION Biotech is planning its expansion into the U.S. market with a Cambridge, MA site starting up in January. The company has been engaged in research and licensing collaborations with three leading US biotechs in the gene therapy field. The first project was assisted by LaVoieHealthScience beginning in 2014, when the Germany-based company was seeking U.S. partnerships with clinical-stage gene therapy companies. “Partnering with LaVoieHealthScience helped us unleash our potential as a business-to-business provider of custom engineered viral vectors for industrial and academic research and development,” said SIRION chief operating officer and executive director Dieter Lingelbach. Luquire George Andrews has been hired to support consumer public relations efforts for TaxSlayer, an online and professional tax and financial technology company. 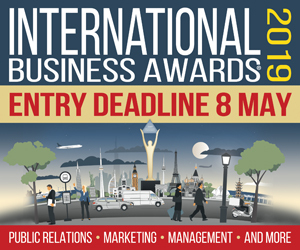 LGA will conduct nationwide media outreach and support social media and sponsorship activations on behalf of the company. Among LGA’s duties will be showcasing TaxSlayer’s status as the highest-rated tax-prep solution for service and support, as well as its ease of use, fast filing, best value, maximum refund and more. The agency will also promote such user-friendly features as the TaxSlayer Prepaid Visa Card, which allows for fast and easy processing of a filer’s tax refund. 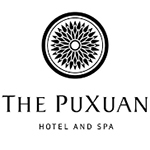 The Brandman Agency will be representing The PuXuan Hotel and Spa in Beijing. Located near the Forbidden City, the hotel is set to open in early January. The property, a member of The Leading Hotels of the World, is operated by Urban Resort Concepts, a China-based luxury hotel management company. Brandman plans to help drive awareness and generate buzz surrounding the opening of The PuXuan and Urban Resorts Concepts to the North America market. URC also has properties under development in Hangzhou and Shenzhen in China as well as in Dubai, the Maldives and Lombok, Indonesia. The Brandman Agency’s portfolio of luxury travel and lifestyle brands includes several Ritz-Carlton properties, COMO Hotels and Resorts, Visit Victoria, and La Mamounia.